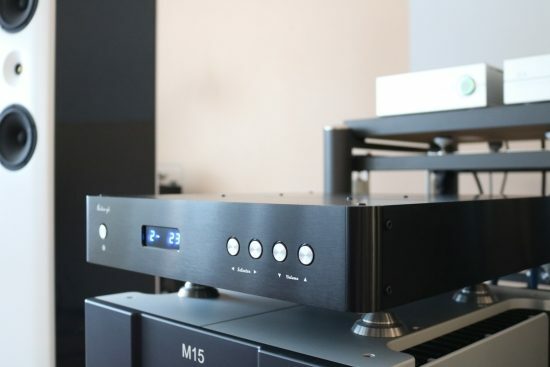 The Master 1 preamp has a sleek profile but is just as deep as it is wide (43cm). It’s not without reason: the Master 1 is actually filled with electronics all the way from the front to the back. Personally, I like these dimensions but you may want to make sure that your rack has enough space. 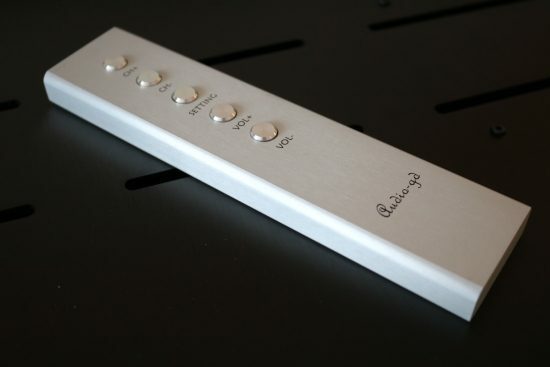 Functionally, this is a straightforward component with two buttons for input selection and two for volume level and a power switch completes the controls. Although I really like its simple looks, the real beauty is within. 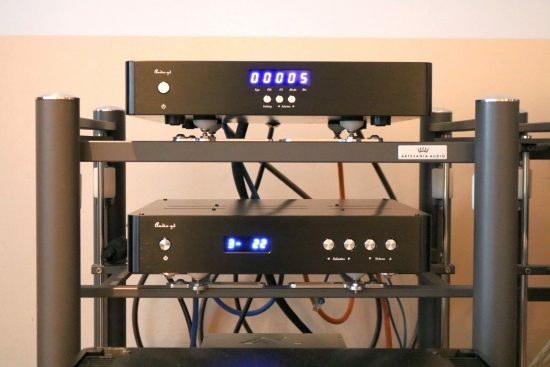 Since the preamp is fully balanced, it contains two amplifier stages per channel that work together, one in normal phase and the other in reverse phase. When setting the volume, this means that 4 channels need to be adjusted simultaneously. Audio GD raises a very fair point in stating that Quality of volume control is very important in balanced applications. The four channels have to work synchronously to keep the balanced signal in perfect shape. Many manufacturers apply off the shelf integrated chips to take care of this and although that works very precisely, it is argued that these components leave a sonic imprint on the sound. Stepped attenuators using discrete resistors, for example, are found to be purer and more direct, although some others claim that those resistors also have a certain sonic character. That subjective matter aside, arguably the purest and most direct approach to volume controls, while retaining full convenience, is what Audio GD have implemented here: high-precision 0.05% tolerance film resistors that are switched by gold-contact-relays. I first encountered such a volume control in the Jeff Rowland Consonance and Sphinx project 8 preamps and it seems that this method is hardly used anymore but I am glad to see its return here. The Master 1’s volume control has 99 1-dB steps which works just like a chip-based volume control and comes along with reassuring clicks for every change in volume. There are 2 XLR inputs, 2 cinch inputs, and 1 ACSS balanced input. Outputs are provided as cinch, XLR, and balanced ACSS. 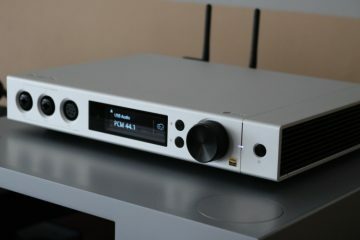 To really put the Master 1 preamp to the test, I inserted it between the 40K CH Precision C1 DAC and 33K A1.5 power amplifier. ACSS was not possible in this isolated setup so I used a variety of interlinks, including the Cardas Clear, Vermouth Reference, and Final Touch Audio Ganymede. 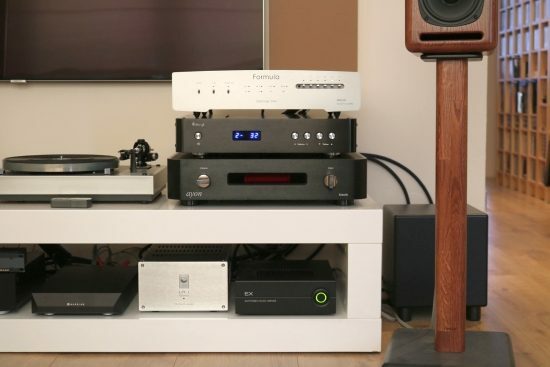 Naturally, that means comparing a system without a preamp to one that includes one which is far from fair but nevertheless, it’s a good way to test the preamp’s transparency. Now, I should state upfront that not one preamp that I tested so far has proven to be truly and utterly transparent. In all cases, you can hear it clearly when a preamp is in the signal path. Not even the 30K Jeff Rowland Corus + PSU was inaudible. In analog preamps, therefore, I tend to look for subjective transparency and overall even-handed performance as well as its performance relative to other preamps, which I will get to further below. In an absolute sense, what I heard after inserting the Master 1 between C1 and A1.5 was impressively even-handed, unfiltered, and neutral, but it did not pass the signal fully untouched. However, whereas some preamps, even very expensive ones, round off the transients, thicken the bass, color the sound, or even add a synthetic touch, the Master 1 did none of those things. The only sin that it committed was a reduction in the overall resolution, audible mostly in the hi-hats, which lost some of the expression and differentiation of the individual strokes that these sounds are made up of, sounding more washed over, rougher, more like global whooshes, compared to listening without a preamp. But even if it reduced the transparency in an absolute sense, still, it sounded essentially very neutral. And, importantly, in spite of its neutrality, the Master 1 never sounded clinical, let alone hard or harsh, the overall sound was actually very natural. The Master 1 preamp was very revealing of the cables used to connect it. Although it certainly sounded most impressive when connected via ACSS, depending on the required balance it worked well with all the aforementioned XLR and cinch cables and arguably provided the most refined sound using the Cardas Clear of Final Touch Audio Ganymede. At this stage, if I did not know better, I’d say that this preamp had a 4000-5000 price tag. Then, for a much fairer comparison, I took the Master 1 to the second setup, in which it was compared to the 7K Ayon Stealth preamp. 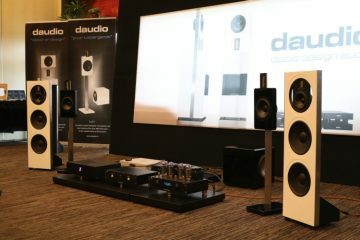 The speakers in this setup are Xavian Perla Esclusiva and the power amp is the NuPrime ST-10. As a DAC I used the super hi-res Aqua Formula xHD and the interlinks between all the components were all AudioQuest Water cinch versions. Compared to the Stealth, the Master 1 is lighter in balance but actually very similar in resolution and refinement. Here, I did not notice a difference in treble differentiation at all, further confirming the relativity of the aforementioned tests using the main CH system. 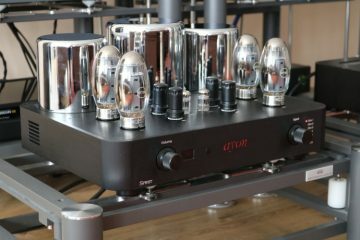 The Ayon is a tube design, one that sounds very bold and colorful and with a tonally rich midrange and I love it for that. It works a treat in this setup and pretty much anywhere else that I tried it. But I wouldn’t call it very neutral. The Master 1 is considerably more transparent and a lot cleaner and therefore truer to the source. Just like in the main system, the Master 1 has an even-handed and highly neutral sound that injected no discernible character, subjectively in this setup sounding pretty much as if no preamp was present at all. As inescapably tends to happen with very neutral transistor-based components, the Master 1 did not possess the euphonic midrange magic and free-flowing soundstage abilities of the tube-based Stealth but, importantly, neither did it make the music mechanical and certainly not analytical, the presentation remained natural. Moreover, after having listened to the Master 1 for some time and going back to the Ayon, the latter sounded quite bassy and uneven, further highlighting the neutrality of the Master 1. After some time, though, you got used to its specific tonal deviations again and its tube magic wins me over. 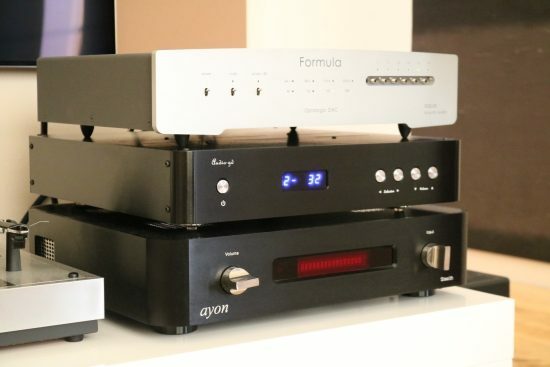 Although the Ayon’s character fits this system very well and I happen to like its bold and colorful presentation, the Audio GD Master 1 is easily more neutral and definitely more revealing of the source. Oh, did I mention that the Ayon is 7K? Well, the Master 1 is A LOT less than that. 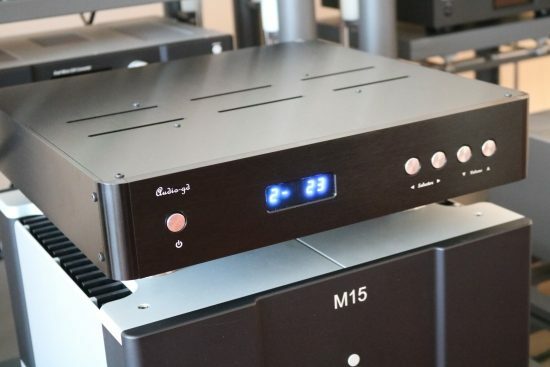 Of the three components, the Master 3 power amplifier is visually the most impressive. 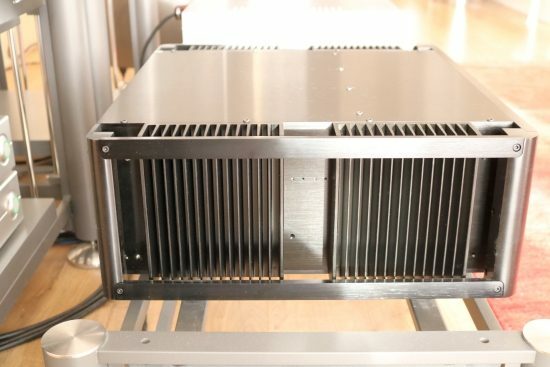 Big and heavy and constructed from thick aluminum panels, it reminds of classic high-end power amps. It’s not only taller than the slim source components but at 48 cm it is also wider. 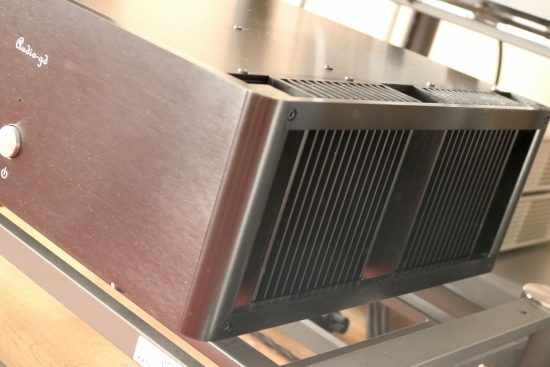 It weighs 40KG but thanks to the clever crossbars that are positioned along the cooling fins, it is a lot easier to carry and position than amps with similar weight and no handles. 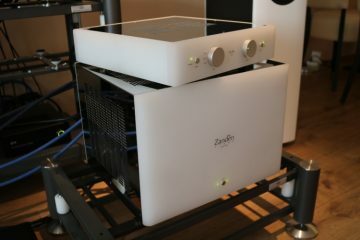 Like the other two components, this is a true balanced design, meaning that there are 4 amplifiers built into the chassis. Although all power amplifiers employ preamp gain stages that work in voltage mode and power output stages that work in current mode, it seems that the Audio GD Master 3 takes this one step further. 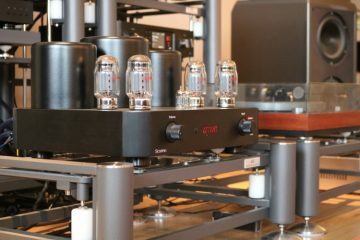 Like the DAC and Preamp, the power amp offers ACSS connections but apparently applies the underlying circuit to the entire amp. The below official info, slightly paraphrased, may well be an explanation for why I found the differences between XLR cables and ACSS cables to be less spectacular than with the DAC and Preamp. With manufacturer-supplied figures of 250W in 8 ohms and 500W in 4 ohms, the Master 3 seems to do the doubling trick which so many audiophiles regard as something of a holy grail. In practice, not many amps truly do this and in all honesty, it really is not all that important. 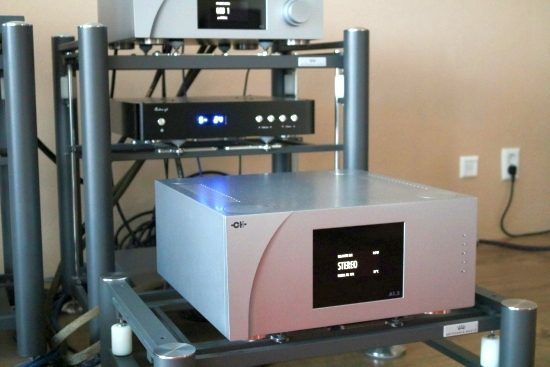 What is important is that the amp is stable into difficult loads and that has a lot to do with its power supply. With a total of four transformers (2 Toroidal for the current stage, 2 R-Core for the voltage stage) amounting to over 1500 watts, followed by 140,000 uF of capacitance, fed into four independent outputs with a total of 24 ON Semiconductor transistors, there is no doubt that this is a very potent amplifier. The manufacturer claims that this amp’s vigorous current output drives most complex loudspeakers and again I have no doubt about that. All the gain stages work in Class A and the power output stages work with “high idle current”, indicative of a high bias, Class A/B design. In use, and with the speakers that I had at hand, the amp only ever becomes hand-warm, never hot. The output stages have zero negative feedback and are DC-coupled, built using all discrete components, so without any Op-Amps. The output stages use a proprietary technology developed by Audio-GD which is referred to as “Linear Fidelity” (patent pending). It is not disclosed how this circuit operates precisely but the aim is to avoid distortion that normally goes hand in hand with zero feedback designs. 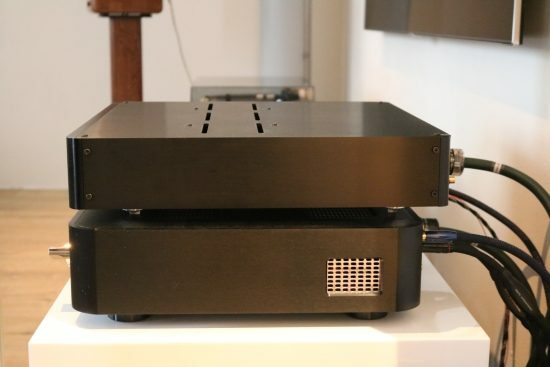 Very powerful amplifiers can sometimes be the aural equivalent of a heavy luxury car with an oversized engine, meaning that they can have plenty of torque but not so much the agile behavior of a sports car. In other cases, very powerful amplifiers can sound overly controlled, especially when driving efficient speakers. Fortunately, neither of these scenarios apply to the Master 3. This amp is absolutely not slow and neither is it over-controlled, it really is superbly balanced. Although I understand that it is not possible to truly remove all forms of feedback from an amplifier design, I’ve listened to more than a couple of low-feedback designs and designs that only use local feedback. In general, what these bring is a naturally free-flowing sound. Alas, in most cases, however, I also find that the tightness of the bass and to some extent the rhythmic performance are sacrificed in the process. This again is something that absolutely does not happen with the Master 3. This amp has tight, articulate, and very fast bass. Do note that cold from the box and prior to the running in, the Master 3 not only sounded thin, but it also lacked bass pressure and was devoid of tonal color. One week of playing time did a lot for the bass grip and the tonality also further filled out after that. So, how does the Master 3 power amp sound? Well, it doesn’t really have a sound at all! As mentioned, it is fast and articulate yet not analytical. It is also extremely neutral and very linear. The amp simply does not add any character to the sound. The main aspect that stands out for me of the Master 3’s delivery is its bass, which is on the lean side. In spite of its huge power reserves, this is not a thunderous-sounding amp. But that’s probably for the better because very beefy sounding amps don’t usually excel in pace and rhythmic precision and that is precisely where the Master 3 does excel. If I did not know any better then I’d assume that it had a switched power supply, it really is that nimble and fast. 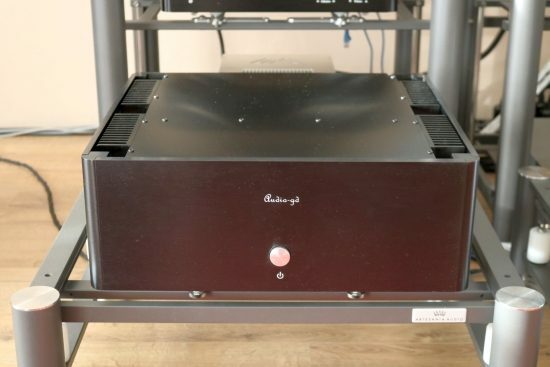 If there was anything that I could criticize about this amp’s delivery on its own, in the context of my usual system, it would be that it can be a little bit restrained dimensionally, as well as in terms of expression. Then again, amps that do all that the Master 3 does and add these last requests simply don’t come in a price category that is anywhere near comparable. Although the differences between XLR cables and ACSS cables were indeed less pronounced than they were with the DAC and Preamp, I still found the amp to sound best using ACSS. A good second place, in this case, was for the Vermouth Reference XLR cables which added more heft and impact to the amp’s sound. Given the ginormous price difference, my next comparison is ultra-unfair. But, as always, I figured “why not?” and proceeded anyway. The 33K CH Precision A1.5 does not have a very voluptuous sound itself, it is, first and foremost, a very, very, neutral amp. Hey, the Swiss practically invented neutrality! The interesting thing is that the Master 3 has a similarly neutral and even-handed balance although it is a little bit leaner still in the bass. The Master 3’s treble performance is also quite remarkable. It does not stand out in any way, being as articulate, airy and precise as it needs to be, neither hard nor washed over, not sticking out nor rolled off. Truly, not many power amps, especially not the ones as powerful as the Master 3, deliver this kind of treble performance. 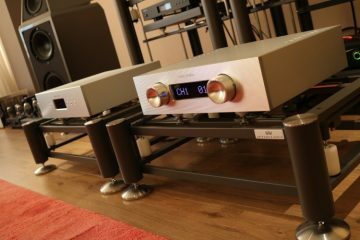 Apart from the bass, the most outstanding difference between these two amps is in terms of resolution and finesse, the A1.5 being considerably more resolving and subtle. And that’s fair enough, given that it is over 10 times more expensive than the Master 3. 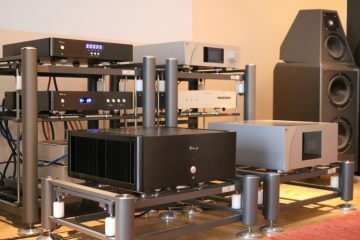 Another amp that is on visit for a review is the Naiu Laboratory Ella. A switching amp using bespoke technology, one might assume it to sound like something based on ICE power- or perhaps Pascal modules. The contrary happens in this case, the Ella sounding warm and smooth with sonorous, super-solid bass, all in all more like class A than class D, in fact. At 8K, the Ella amp is not cheap but also not outrageously expensive. Where does this place the Master 3, you might ask? With the Ella’s smoothness and the Master 3’s neutrality, the two amps have very different presentations. When I focus on the refinement and resolution, I’d rank them as being equally great. For good measure, neither is able to approach the extremely refined CH Precision A1.5, but both are still easily hi-res enough to be quite revealing of the source components. In addition, although the Ella sounds sweeter and has very natural treble behavior especially for a switching amp, the Master 3 is actually texturally more fleshed out, especially in the midrange. It’s a kind of inner resolution and harmonics that is something that I often find is better with class A/B designs than with class D designs. While the Master 3 worked well with all the cables that I tried, of the regular XLR cables, the Vermouth Reference provided the most powerful and sonorous balance that I found most attractive. 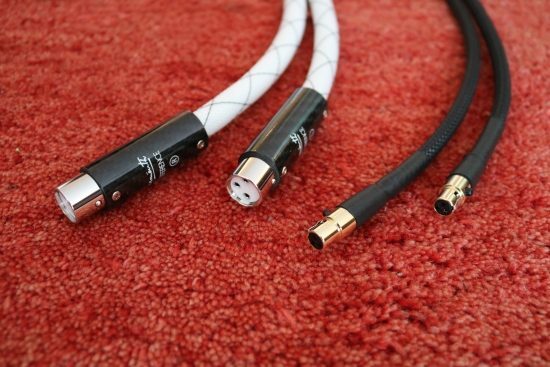 The Magna Hifi ACSS cables provided a less sonorous and solid but more natural, refined and free-flowing sound, however, that only works with the other equipment that has ACSS (-compatible) connections such as Audio GD equipment. But I’ll dive deeper into this in part 3 in the section ACSS Sound. While in the field of switching amps, let’s include the NuPrime ST-10. 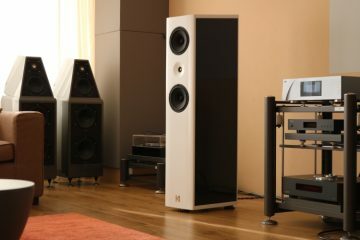 I’ll not beat around the bush: the little NuPrime has bigger bass and sounds more sonorous, bolder and more “live”-like. Note that I am not saying that it is more lifelike but its delivery does come across more like that of a band playing live. It is vigorous and plays with real gusto and I really like it for that. 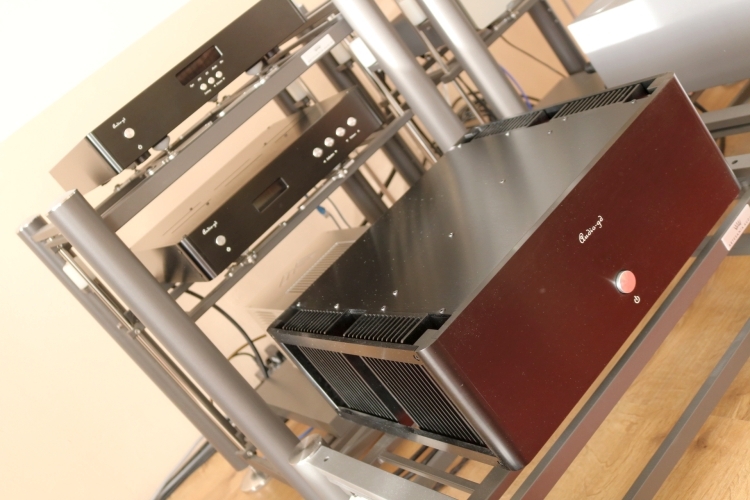 But the ST-10 also has its weaknesses, most notably its resolution and treble performance. While the Master 3 does not have the ST-10’s drive and slam, especially in the bass, it does outperform the latter in terms of neutrality, even-handedness, overall refinement and treble performance in particular. The Master 3 also has a lot more power but with my speakers, it can’t really play out that trick. 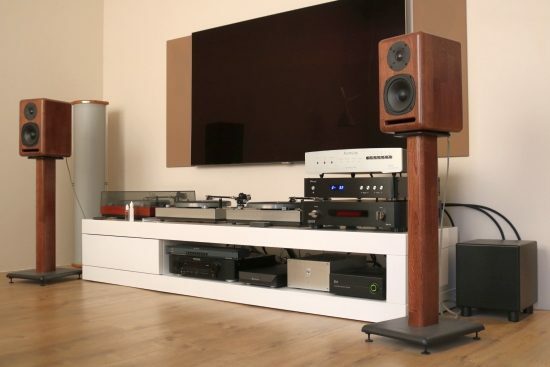 Nevertheless, even with relatively efficient speakers such as the Wilson WATT/Puppy 8 and the Kroma Audio Carmen, it is impossible to not have huge respect for what the Master 3 achieves, especially if I reveal its price in a bit.